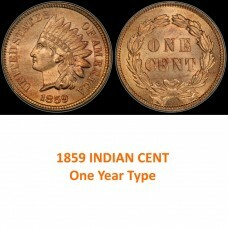 And so, in 1859, the Indian Head Cent was introduced. 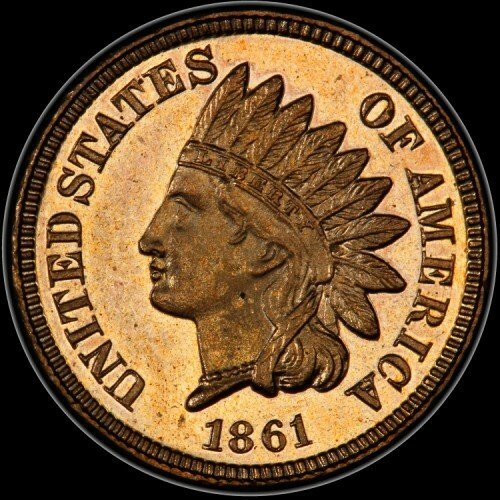 The front side, or obverse, bore a fanciful rendition of a Plains Indian tribal chief, the date, and the legend “UNITED STATES OF AMERICA” around and near the edge. The reverse side featured a laurel wreath at the edge, surrounding the denominational “ONE CENT” inscription. 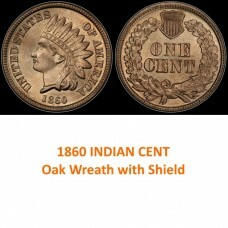 The oak leaf and shield Indian Head Cents did strike up a bit better but were still hard on the equipment. It was time to consider changing up the metal to something else – perhaps an alloy with a record of accomplishment… French Bronze. This was a metal whose elastic strength had burnished its reputation on the battlefields of Europe as an excellent material for fabricating practical and durable cannon barrels. Unlike the troublesome copper-nickel alloy of the small cents produced thus far, bronze was a mixture of copper with a bit of tin and zinc. Bronze was even lighter than copper-nickel, and to the benefit of the coiner, easier on the dies and presses. Coins struck up sharply and production costs were lower. But there’s another part of the bronze penny story quite unrelated to manufacturing. Another context, if you will… the oncoming American Civil War. The years during the runup to the war, before the firing began in 1861, are remembered as a time of increasing tension and apprehension. Throughout history people have hoarded money during wartime -- hard money of gold and silver -- as a hedge against societal breakdown. This began to happen in the late 1850s as political solutions were attempted and failed. New York banks began to restrict and finally curtail payouts in gold and silver, which rapidly disappeared from the commerce as people held their coins close. It was not long before even pennies became scarce in change. Merchants felt this unexpected penny pinch immediately. 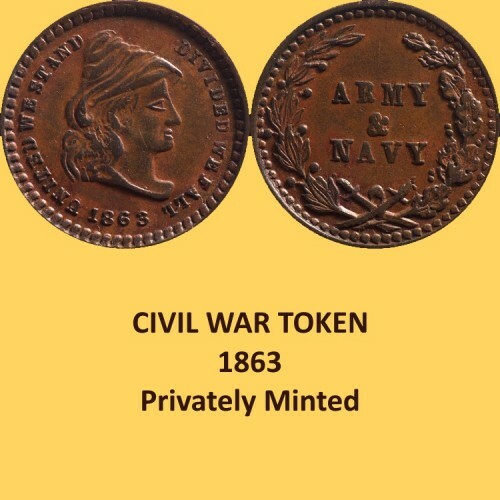 In reaction, they contracted with private mints to supply them with coin-like tokens made from inexpensive bronze. 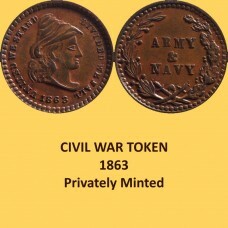 (These are the Civil War tokens that have become a growing subset of collector interest today.) The federal government took note and realized that it, too, could produce less a intrinsically valuable bronze version of the current US cent to stem the tide of the questionably legal tokens. 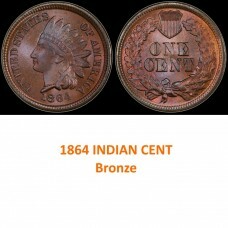 But it wasn’t until 1864, when the war had run for all of three years, that the first bronze Indian Head Cents appeared. They were soon able to overcome the proliferation of the privately made tokens. Collectors agree that most of the tokens were dated 1863, and many fewer 1864. 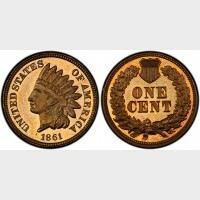 The Indian Cent was to be produced for 4 and a half more decades. So, there’s more to this story that we’ve yet to cover. Come back and read our next “Coins and Context” post to learn the rest of the Indian Head Cent story. In the meantime, checkout our inventory on the website or visit the store to see the coins in person. We’ll be glad to continue the conversation!